Aussie Media F*** Up of the year. 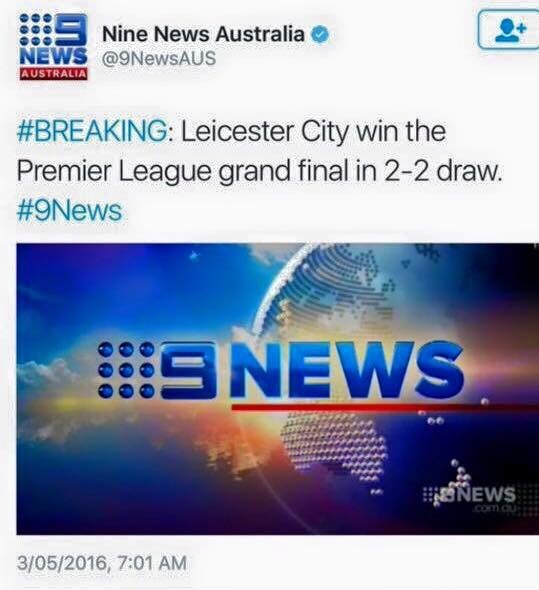 Oh dear oh dear, Channel 9 Australia. 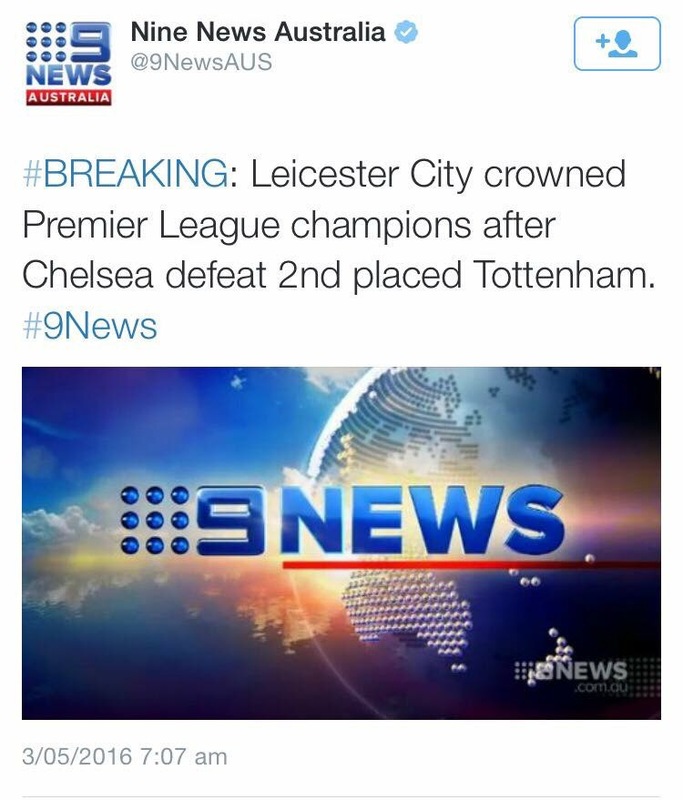 No, there isn’t a Grand Final in the #EPL. It’s a league. With no finals. There is a Final in the F A Cup. That’s a different competition. And replacing it with this doesn’t help. You don’t defeat someone 2-2. God forbid you ever win the rights to broadcast football and have to explain the offside rule. 9 News. The only news organisation on the planet who don’t understand what just happened.